In the name of beautifying neighborhoods and downtrodden spaces, murals have been springing up on many metropolitan landscapes across the country. Commissioned by respectable artists, real money is exchanged and appropriate permits are acquired. But when art is public, who does it really belong to, and who should have a say in whether it stays or goes—or what it looks like in the first place? A mural on Boston’s Rose Fitzgerald Kennedy Greenway appears to many Americans to depict a terrorist, but the project's curator says it's an image of a small boy in pajamas with his shirt over his head. 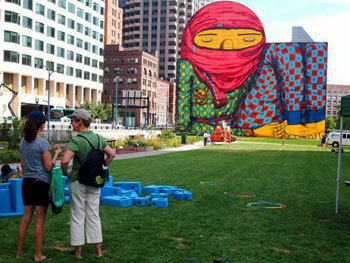 In Boston’s Dewey Square, Brazilian brothers working under the name Os Gêmeos, (twins in Portuguese) faced a public outcry when they painted a mural depicting what is said to be a boy in pajamas with a shirt wrapped around his head. 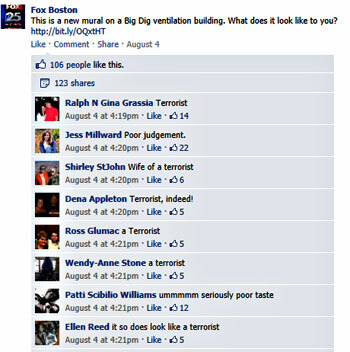 The piece was done in conjunction with their solo exhibit at the Institute of Contemporary Art, but when Fox News in Boston posted a photo of the mural on its Facebook page, the majority of responders felt sure the image depicted a terrorist and should be removed. The Massachusetts Department of Transportation owns the land that houses the mural and operates the highway beneath the Greenway. The Greenway Conservancy, a private, non-profit organization, maintains and manages the park. 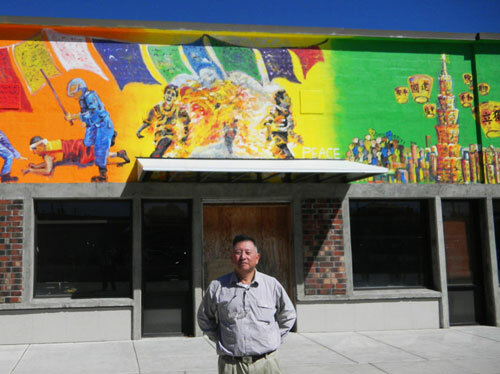 David Lin poses in front of a mural he had commissioned and installed above a vacant storefront, calling for independence for Taiwan and Tibet. Across the country in the college town of Corvallis, OR, Taiwanese-American businessman David Lin commissioned a mural, 10 feet high and 100 feet long, calling for independence for Taiwan and Tibet. The painting depicts both a peaceful Tibetan countryside scene and a violent scene with police beating protestors and a monk setting himself on fire. Fearing that the mural in this remote Northwestern town would damage U.S./Chinese relations, the Chinese Consulate in San Francisco sent a letter to Corvallis Mayor Julie Manning, demanding that the work be removed. The mayor refused, saying the mural was protected by the First Amendment of the U.S. Constitution. The mural gained international attention, and the subject was even addressed at a press briefing at the Chinese Foreign Ministry in Beijing. The Chinese government sent representatives to meet with the mayor, but she reiterated that the building is privately owned and the image protected under the Constitution. Manning did agree to convey the Chinese government’s concern to Lin, but he has decided that the mural will stay. Lin is grateful for the local support but still fears for his safety. Durability + Design News showcased a story about a mural commissioned and executed in Atlanta that received both accolades and opposition. Painted by Argentinian artist Hyuro, the work features the figure of a woman in various stages of undress. Commissioned by Atlanta’s Living Walls Conference, and one of several murals designed to beautify forgotten and unsightly areas of the city, the subject matter is said to be different than that originally submitted and approved. 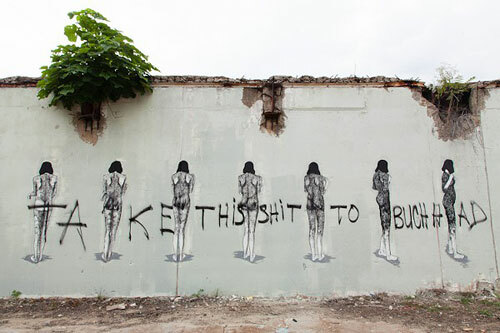 Deemed pornographic by some, community members voted to remove the mural, but it also lives on private property, therefore allowing the local government only the opportunity to suggest to the owner that it be removed. Clearly, some opponents of the mural couldn’t wait for the wheels of the process to turn; in September, the mural was vandalized. The public responds negatively to Hyuro’s mural in Atlanta. The Living Walls Conference in Atlanta has certainly had its hands full this year, as a second mural of the group has met with disdain as well. This one, on a street south of downtown Atlanta, has drawn attention from area residents who view the mural’s creatures as Satanic, prompting some to paint over it themselves. The mural, painted by French artist Pierre Roti on a retaining wall owned by the DOT, took several months to complete and only moments to deface. Vigilante painters express their disapproval of imagery they consider “Satanic” imagery in Atlanta. The original mural is featured on the left. Just as strong as those living in fear of what they deem to be Satanic imagery are the supporters of such creative expression. An online petition set up to save Roti’s mural has garnered almost 2,000 signatures. Imagine you’re the property owner. Is it your business alone how you paint what belongs to you? 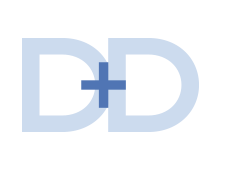 You’ve gone through all of the necessary legal steps and received approval where necessary. Should be smooth sailing after that, right? What if you’re the commissioned artist? 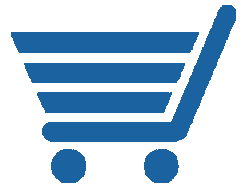 An individual or organization has paid you for what you believe to be your professional artistic representation of a concept. 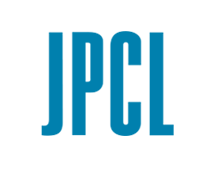 You have submitted your idea and gotten the go-ahead. Everyone is in agreement—or so you think. What about the person who has no official claim on the land or the commission, but because of proximity, is forced to live with the outcome? Does that guy get a vote? Often when approval was sought and granted, nobody asked this guy—yet each time he looks out his window, he sees something that he feels compromises his values. And sometimes, the battle comes right down to what is art and what isn’t—a subjective debate that can be argued forever. Maybe it’s art only if it lives within museum walls. If we don’t approve of it in that setting, do we just say, “Well, the art in that museum isn’t to my taste” and have an easier time of letting it go because it’s presented in that designated forum? Should any one player in any of these scenarios always be favored, or do too many gray areas come into play depending on the individual situation? What do you think? In all of the cases mentioned here, the murals were executed in the name of improving the surrounding areas, but clearly, beautifying is in the eye of the beholder(s). The solution is easy. Ban all art by "foreigners", depicting foreigners, art that foreigners might like, or art that make people who dislike "foreigners" queasy. Ban pictures of clothed people, because they might make certain people think of terrorists. Ban the unclothed human figure, because we all know where that leads. Ban all representative art (see "terrorists" and "queasy feelings"). Ban all abstract art because we all know what *that* leads. Then just sit back and have a drink to the land of the free and the home of the brave. And shouldn't those spaces be carrying Calvin Klein ads, anyway? ?